This past weekend I read The Wicked Girls by Alex Marwood and it quickly became clear that this book was likely to be one of my favorites for the year. I couldn’t be more excited to introduce Alex to all of you, so I asked her if she would grant me an interview. And here it is! BOLOBooks: Your background is as a journalist. How was writing The Wicked Girls different than your typical writing gig? Alex Marwood: I’ve actually written five books – the first four under my real name – so I’m fairly used to it now. At first, the luxury of being able to write at that length was fantastic. Being able to explore subjects at a greater depth than you’d ever manage in journalism, being able to relax and meander a bit, use description – and make jokes – that would be the first thing the subs would have cut out to make your copy fit. But one of the joys of journalism is that you get swift and regular rewards. As a daily paper features writer, which was what I did most of the time, you’d get called at eleven, after editor’s conference, with your subject, and generally press ‘send’ around four o’clock. The hours in between were a terrifying scramble of desperately trying to become knowledgeable about subjects you might never have thought about before, but it was a superkick every time you pulled it off. The rewards in writing books are bigger and deeper, but I think most ex-journalists miss the daily adrenalin kick for the rest of their lives. I’ve had to learn delayed gratification skills, and that’s been the hardest thing of all. BOLOBooks: The character of Kirsty in the novel is a journalist, but the career itself is not always portrayed in a positive light throughout the book. What flaws do you see in the reporting of today, especially as it relates to crime reporting? Alex Marwood: Oh, gosh, look, this is a huge subject, but honestly? I don’t think it’s changed that much. I’ve been reading Judith Flanders’s terrific The Invention of Murder recently, and it’s quite evident that yellow journalism and trial by tabloid were just as destructive at the beginning of the 19th century as they are now – only, with the death penalty still extant at the time, the stakes were even higher for the victims. The basic truth is that, like most professions, there are some bad eggs, and more of those are represented at managerial level than among the cannon fodder, which results in other bad eggs being promoted. The biggest problem that faces the press at the moment, though, is the fact that readers, as a rule, seem to have forgotten the ‘pay peanuts, get monkeys’ rule. This is also true of all the people who think that books should cost 49c. It’s hard – really hard – to make a living doing proper journalism at the moment, and there is, actually, a huge difference between the work of trained professionals and that of amateurs. Copy-editing staff are being sacked in droves to save money so the papers can compete with the unpaid on the Huffington Post, and facts are checked less and less as the days pass. This leaves us, as a society, terribly vulnerable to opinion and prejudice and sweeping generalization masquerading as ‘news’, and that, in the end, makes us all weaker and more vulnerable to those who would do us wrong. And it plays right into the hands of the increasingly authoritarian tendencies among our governments – successive British ones, particularly – who, instead of ensuring that laws that have been there for centuries are actually acted upon, use incidents of thorough illegality such as the recent hacking scandals as excuses to pass more legislation that concentrates power into their hands. 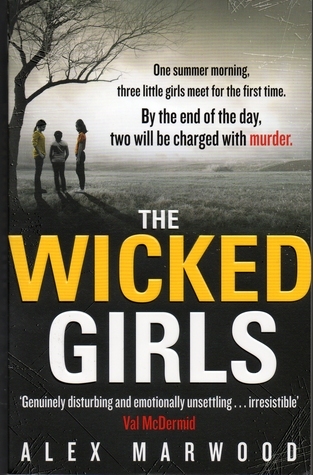 BOLOBooks: In the novel, the two “wicked” girls are presented more as participating in situational crime, rather than being inherently evil. Would that be an accurate assessment? Alex Marwood: Yes. I suppose I’m most interested in crimes and sins of inadvertency than I am in deliberate malice. Many disastrous chains of events actually start with people thinking that they are doing the right thing, or making the right decision, when they’re not equipped to know that the choices they are making are wrong. Communities, too, are very vulnerable to allowing themselves to cherish pieties that produce terrible results. Jade and Bel, as young girls, make several decisions that ultimately culminate in the worst possible consequence – the death of the infant Chloe – but a number of those decisions are driven and shaped by the decisions and attitudes of the people they encounter during their disastrous day. In their adult lives, their attempts to live blamelessly are constantly hampered, not just by the people around them, but by the unthinking attitudes that pervade the wider world. I think we’re all guilty, to an extent, of damning other people with our own prejudices. Whether I think I have any solution I have no idea, but I think it’s something that needs to be discussed, and exposed, constantly, if we are to have any chance of improving. BOLOBooks: Structurally, The Wicked Girls is extremely complex. Not only are there flashbacks, which slowly unravel what happened to Chloe, but you also have “viewpoint” characters that know different parts of the whole story. How difficult was that to keep straight and what methods did you use to do so? Did you write the whole flashback section at once and then intersperse it through the contemporary plotline? Alex Marwood: It was a challenge. But every book I’ve written has started with a promise to myself that this time I will keep it nice and simple, and ended up writing a multiple point-of-view, multi-stranded book, usually on more than one timeline. My most important tool is my magnetic whiteboard. It always ends up covered in maps and (bad) line-drawings of houses, and the names, ages and salient points about each of the characters. After that I jot moments and important developments and notes about individuals and set scenes onto pages of a small notepad, an idea to a page. They seem to come completely randomly, so I’ll just tear them out slap them onto the whiteboard, one to a magnet, usually initially in rough batches related to individuals’ character arcs. Then gradually, as I move them all around, the shape will start to become clear. It’s only when I’ve got at least the first half of the story up and running that I’ll let myself start writing more than little vignettes that let me get a feel for the characters’ inner lives. I think this makes me rather disconcerting to editor and agent, as my answer to the ‘how far have you got?’ question will sit on ‘I don’t know, about 8,000 words’ for months. Once it comes, though, it comes, and I find that each 10,000 words takes roughly half the time that the previous 10,000 did. It’s a weird alchemical process that I find hard to explain. I don’t think I’d be much good as a teacher! BOLOBooks: The major setting for the story is Funnland, an amusement park. Why did you choose this setting for such a dark and serious story? Alex Marwood: Lots of things. I’ve done some pretty grim jobs in my time – I took a while to discover journalism – and lived on short rations while everyone around me seemed to be making hay, and I think that does show up in my work a bit. But all these places where organized ‘fun’ is on the agenda are, in their deep hearts, dark and regimented, and I find them quite disturbing. As I’ve aged, and after seeing a few fights break out and things go bad while covering and attending events, I find crowds increasingly threatening, even when they’re ostensibly out for a good time. People become weirdly credulous in crowds, and strangely robbed of the powers of critical evaluation. A lot of the book is about the perils of Groupthink, and you see more of that in play at places of entertainment than in most other situations. BOLOBooks: For me, a major theme of the book seems to be the idea that we, as humans, will (and should) always be haunted by our past actions, but that others should not always be so quick to judge. What do you hope readers will take away from the book? Alex Marwood: Just that, I guess. And maybe a sense of the frailty of their own security. A belief in the possibility of redemption for strangers, not just for themselves. If I could persuade people to just stop and think before they accept common assumptions as gospel, I would feel that I’d really done my job. I find it very hard to believe how easy we all find it to think that we’re the only people with troubles, or pasts to overcome, when the evidence to the contrary is often screaming into our faces. BOLOBooks: What is next for Alex Marwood? Hopefully there is another book in the works. Alex Marwood: Yes. I’m just finishing off edits on The Killer Next Door. This one at least manages to stay in the here and now, more or less, but it’s been another fiendishly complicated planning task, with seven major characters, from all of whose points of view you see the story at one point or another. It’s set in a made-up suburb of south London, and set in a run-down rooming house where a disparate group of characters is unaware that they’re sharing their space with a serial killer. It comes out in December in the UK as an ebook, then as a book-book in the early summer. BOLOBooks: If forced to choose only one format for all your future reading, which would you choose: Hardback, trade paperback, mass-market paperback, or e-book? And why? Alex Marwood: That’s so unfair. So unfair. I’m a crime writer; my entire internal world is driven by paranoid fantasy. My larder has enough food for three months, just in case the zombie apocalypse breaks out and I can’t go out for a bit, for God’s sake. If you could guarantee me that the electricity supply and the internet would never give out, I might well go for the ebook, as I love having a whole library at my fingertips, and the convenience of font changing can never be underestimated for middle-aged eyes, especially if you like reading in the bath. 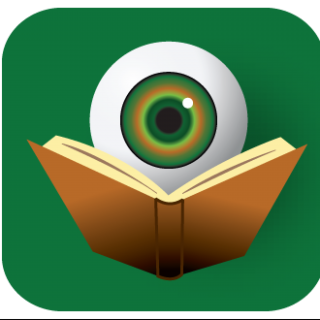 Yes, it’s awful: I have to admit it: I love the e-book. Like a lot of writers, I think that the important thing about a book is the words in it, not the way it looks. Thank you for the interview Alex. Can’t wait to hang with you at this year’s Bouchercon in Albany. Blog readers, check back tomorrow for the BOLOBooks review of The Wicked Girls by Alex Marwood.